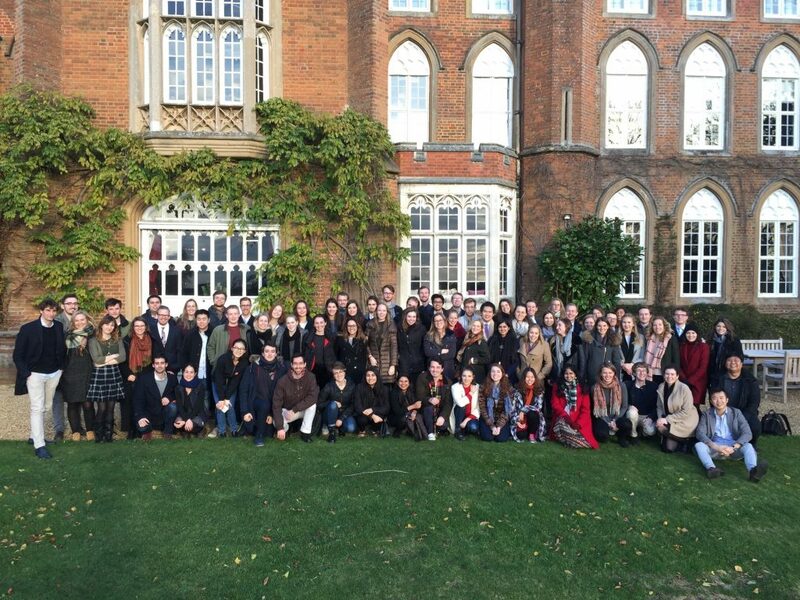 For students and faculty of the London School of Economics International Relations Department, the last weekend of November is typically marked with a much-anticipated event: the annual Cumberland Lodge Conference. The conference is a special weekend during which IR faculty, guests and Undergraduate, Masters, and MPhil/PhD students gather to engage intellectually in an informal setting. 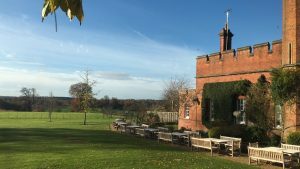 Held in a remarkable former royal residence within the scenic Windsor Great Park, the 2017 conference, held between 24-26 November, centered on the timely theme of populism in the 21st century. After tackling London’s dense Friday evening traffic to the accompaniment of festive Christmas carols, 88 conference participants were warmly welcomed to Cumberland Lodge with drinks and a hearty dinner. 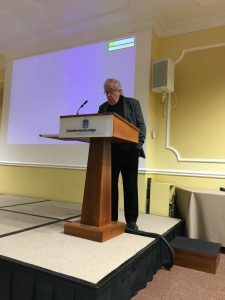 Following a brief history of the Lodge presented by the site’s education officer, Rachel Smillie, the Director of LSE Ideas, Michael Cox, officially opened the conference with a talk on the history of IR at the LSE. Through a lively dialogue, Professor Cox outlined the many path-breaking contributions that have been made to the field of IR by the LSE IR Department, its faculty and its students. Particularly noteworthy individuals and themes that founded and developed both the IR Department and the study of IR included a rather multi-talented Olympian, the English School theory of International Relations, and the Millennium: Journal of International Studies. 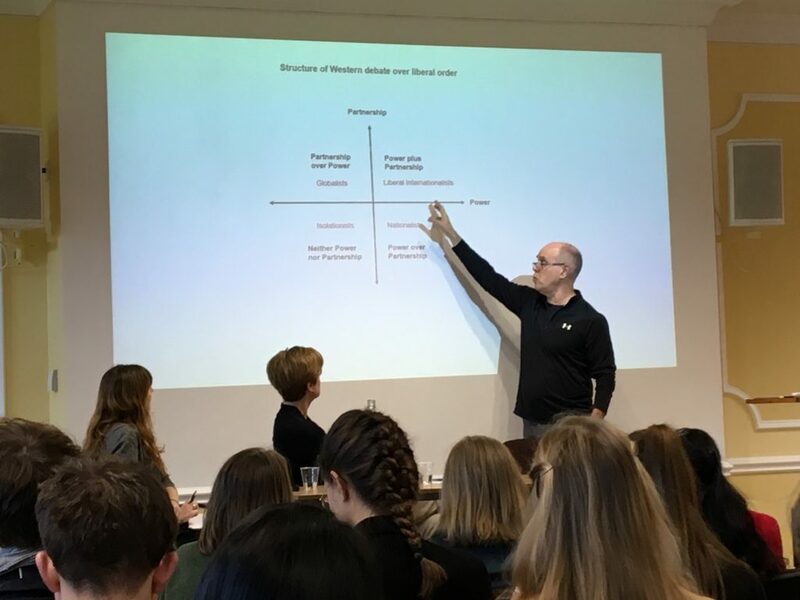 In response to student queries, Professor Peter Trubowitz, Head of the IR Department, joined Professor Cox for an interactive discussion regarding diversification within the IR Department, in relation to both faculty research areas and course offerings. The second day of the conference commenced with a traditional English breakfast that complemented the beautiful and historic British ambiance of the Lodge. The first session chaired by Dr. Milli Lake offered an opportunity for Professor Peter Trubowitz and Dr. Jennifer Lind from Dartmouth College to discuss security, stability, and anti-democratic movements in the 21st century. Dr. Lind offered her insights into the rise of populist leaders, with specific reference to Donald Trump, and contrasted relevant pre-conditions with the lack of those in Japan. Professor Trubowitz, meanwhile, credited the US moving from the liberal internationalist image combining power and partnership, to that of globalization comprising power over partnership, for the US populist backlash. The second session of the morning, chaired by Professor Trubowitz, invited Dr. James Morrison and Professor Chris Brown of the IR Department to debate the descriptive and predictive power of IR in a changing global order. Through an engaging conversation, both faculty members and students explored the role of IR scholars in predicting and explaining global events, as well as challenging global phenomena. A tasty lunch saw the end of the morning session, followed by a free afternoon that offered an opportunity to explore the remarkable countryside scenery of Windsor Great Park and/or walk to the famous Windsor Castle. Refreshments were later served to reinvigorate the weary minds and energies of the participants prior to the commencement of the late-afternoon session led by PhD students in the IR Department. 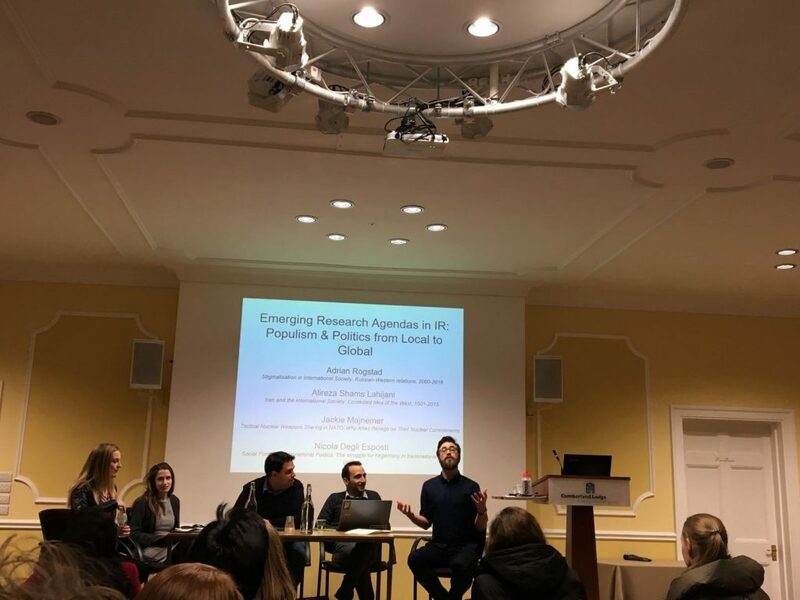 In a forum chaired by Emma Saint, four PhD candidates—Jackie Majnemer, Adrian Rogstad, Alireza Shams Lahijani, and Nicola Degli-Esposti—discussed the role of populism and populist discourses in their own research. Offering four unique perspectives, the conversation challenged the very concept of populism and reflected the weekend’s theme of the causes and consequences of populism in diverse global settings. Following dinner, the last session of the day comprised a town hall style discussion and debate on populism in the 21st century involving all conference participants. Academic discussions continued into the evening both at the bar over lively evening drinks and a basement party session. The final day of the 2017 conference commenced over brunch followed by a Matins Service at the Royal Chapel, in which the presence of Her Majesty the Queen delighted and provided an unforgettable memory for all in attendance. A fascinating panel on the future and survival of global governance by the IR Department’s Dr. Mathias Koenig-Archibugi and Professor Karen Smith, as well as Dartmouth College Professor Michael Mastanduno, subsequently concluded the conference. The final discussion allowed for both panel and audience members to actively debate the challenges facing global governance in the 21st century with growing populist sentiments and the rise of new powers. Discussions continued over lunch in the beautiful dining rooms of Cumberland Lodge prior to the conclusion of the conference and return of participants to London. This entry was posted in departmental news and tagged cumberlandlodge. Bookmark the permalink.